Esha Gupta, Sayani Gupta, Sapna Pabbi, Kritika Kamra, Additi Gupta, Shaheen Abbas, Roshan Abbas, Kubra Sait attended the Candy Crush Jewellery Launch, hosted by Mrinalini Chandra and Dream Theatre at Olive, Bandra. 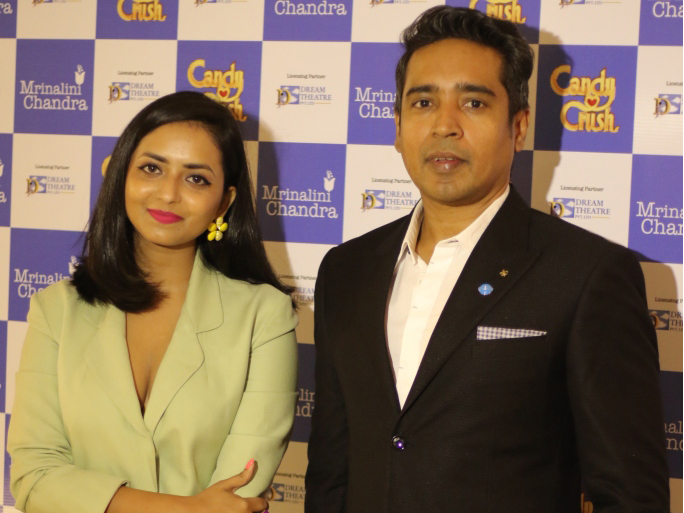 King Digital Entertainment, a leading interactive entertainment company for the mobile world, continues to expand its Candy Crush consumer products offering, with a new range of jewelry by leading Indian designer Mrinalini Chandra. Fans and candy-lovers around the world will be able to get their hands on a range of necklaces, bracelets, earrings, brooches and rings inspired by the deliciously sweet world of Candy Crush. The deal was facilitated and is being managed by Dream Theatre, King’s licensing agent in India and South Asia. The collection is launching on 29th November 2017, just in time for the Christmas season, and will be available on www.mrinalinichandra.com and leading ecommerce sites. The collection comprises of Necklace, Choker necklace, Ring, Cuff bracelet, Earrings, Charm necklace, Charm bracelet, Brooch pin in couture range and Y necklace, Two finger ring, Single finger ring, Lariet necklace, Candy Unit brooch, Earring, Hoop earring, Open bangle, Bracelet in mass range. Candy Crush Saga is one of the world’s most popular mobile games in the world and along with its sister titles, Candy Crush Soda Saga and Candy Crush Jelly Saga, is played by many millions of people every day. Candy Crush Saga and its sister title, Candy Crush Soda Saga, are two of the top 10 grossing mobile games in the U.S. Over one trillion game rounds have been played in Candy Crush Saga alone since its launch. King continues to grow its consumer products offering across the globe supported by its global network of 19 licensing agents. King has signed 145 licensees to date.